The advanced content security module is a simple open source module designed primarily to handle the ‘restriction’ of Sitecore content. Restriction is a state in between the user being able to read the item (in the Sitecore security sense) and the user not being able to read. This typically manifests itself as a paywall with a call to action instructing the user to sign up or register with your site, but I have already heard of other use cases. Automatic switching of content item device to a ‘Restricted’ device, to allow entire page presentation change. Automatic fallback of ‘Restricted’ device back to ‘Default’ if no layout present. 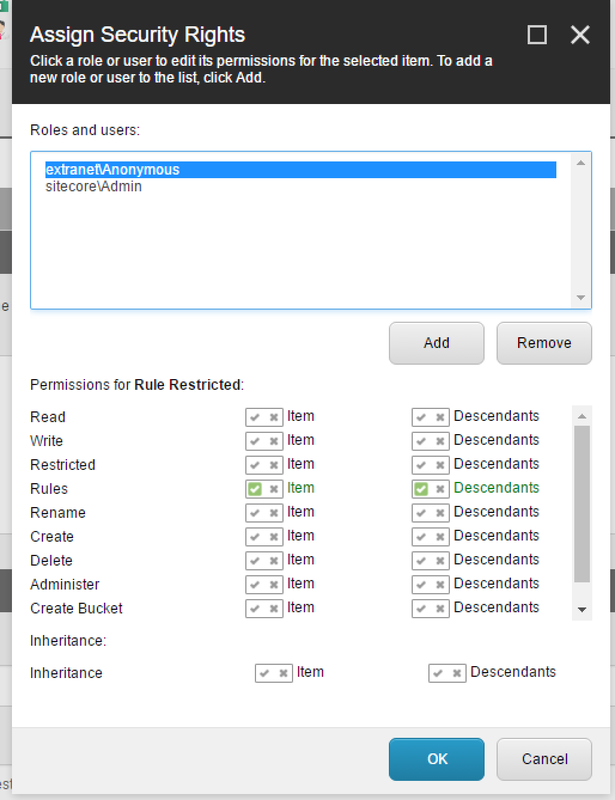 2 Additional permissions have been added out of the box by the Advanced Content Security Module. Applying the ‘Restricted’ security permission using either of the Sitecore security dialogs will define the desired user or role as restricted for the piece of content you are looking at. This is a common use case where a member might be restricted from seeing a piece of content but does not require a rule to determine this restriction. Applying the ‘Rule’ security permission denotes that Read and Rules Restrictions will be evaluated if set to determine the appropriate security permissions. Once completed, apply the ‘Rules’ permission to the content item(s) you wish to have check the rules you have specified, without this, the Advanced Content Security module ignores the item (by design for performance reasons). 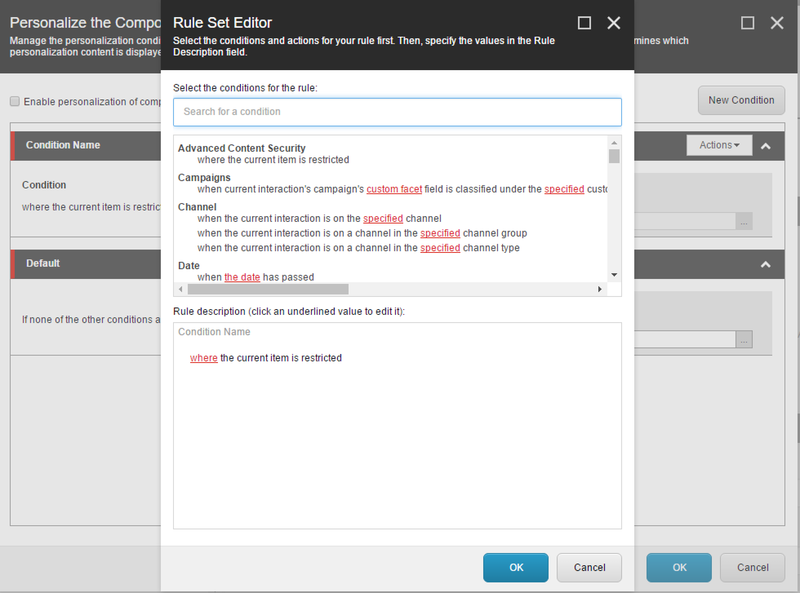 Finally, you can simply select the required rules from the field on your content item. It is worth noting that the executed rules result is NOT cached, it would be the responsibility of the conditions you create. Media restrictions can be achieved by replacing the default handler in the section of the web.config, with that of the Advanced Content Security module, using the following line of code. The Advanced Content Security Module ships out of the box with a ‘where the user is restricted’ conditional rendering rule. You can use this to apply conditional renderings to your presentation. NOTE: Restriction is evaluated both from the security permission and from the rules based restrictions. In many scenarios, simply changing odd components might prove labour intensive for the content editors, and is often more clumsy when applied to standard values. For this reason, the Advanced Content Security Module ships out of the box with a ‘Restricted’ device. 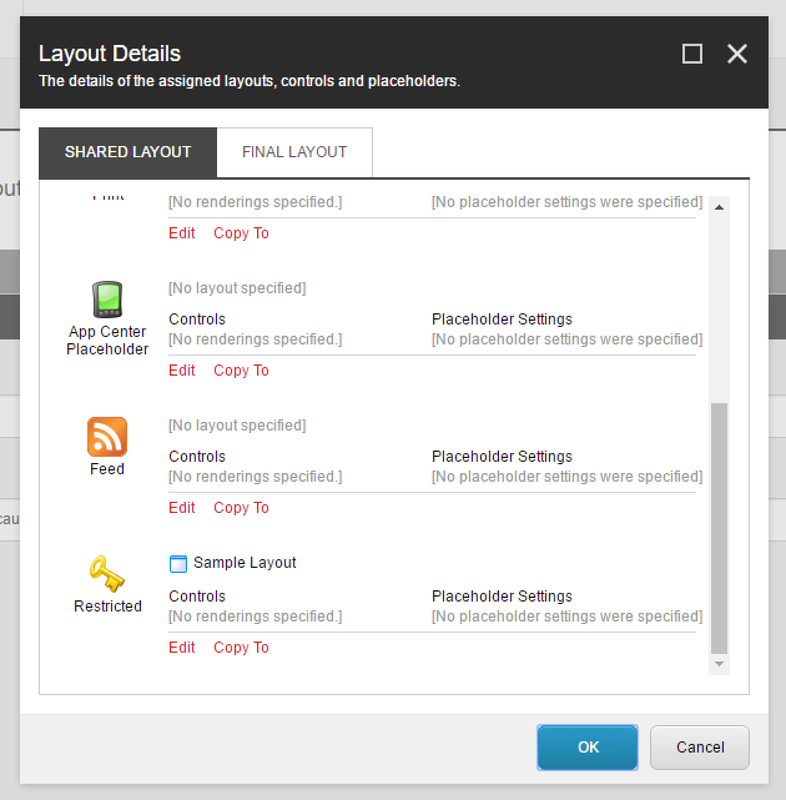 This device gets applied when the content is restricted, and therefore allows the whole page to be presented in a different manner. Another useful feature of ACS is the applying of user logic based upon rules. This is particularly useful with implementations that utilise 3rd party SSO and security, but allows a more agile solution to user initialisation. This does require the code to be fired whereever you control your user log in actions, an example of which can be found below. There are many other more advanced use cases and scenarios that are not covered in this introduction, feel free to contact me or watch this space for some more of them being covered.